After doing the oil filter housing gasket and valve cover gasket and still having a leak, I checked the oil pan gasket and sure enough that needed replacement too. I won't write a full DIY here as these two below are already awesome. I was going to append to the second link below but wanted to make this easy to find. I was able to replace the oil pan gasket on my AWD without full axle shaft removal and all the related work and parts. 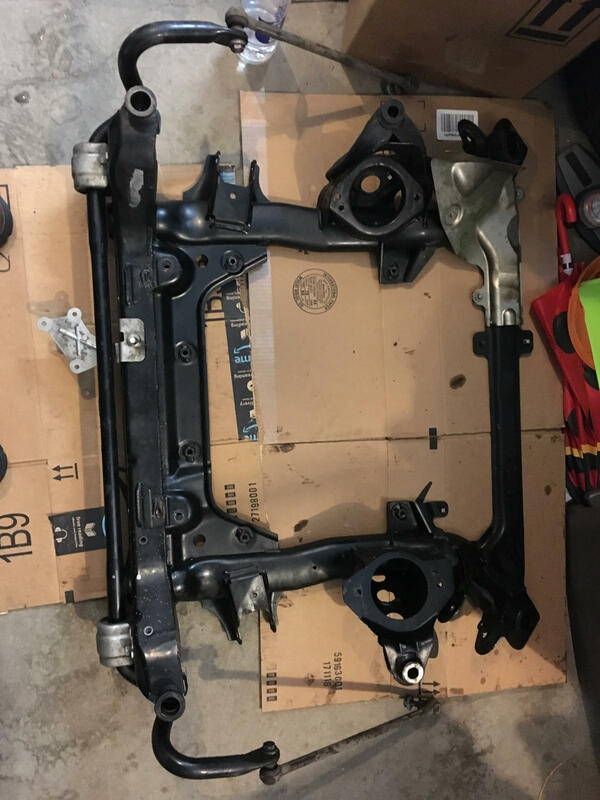 The short version is that by disconnecting the lower control arms at the subframe, sway bar links and steering rack from the subframe, it was simple to remove the subframe entirely from the car. This allowed the struts to pivot inward so I could lower the oil pan by ~6 inches while keeping the front differential, axles, steering linkage, etc. attached. The old oil pan gasket came out easily and after some cleanup, the new one slid right into the front of the engine. So far everything is holding tight and it seems I didn't affect the alignment so in many ways this is a faster more cost effective approach. -It was easier to remove the control arms at the subframe after lowering the subframe a bit. It was also a nice chance to check the condition of these bushings. 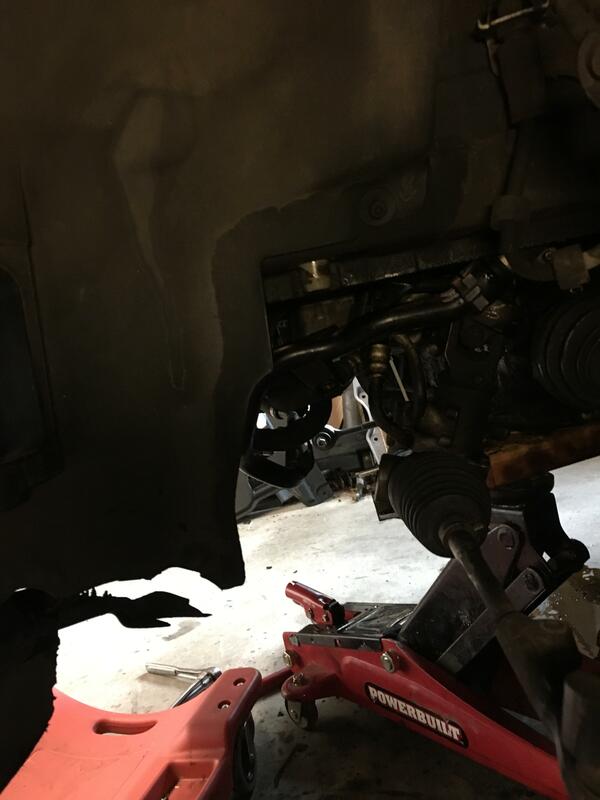 -One of the trickiest parts was disconnecting the coolant line from the front of the subframe. two bolts going in the front were simple but there's one tucked on top of the line on the driver's side that's a pain. You also need to get this line around the power steering bracket to remove. -Generally, take your time removing the subframe making sure you don't have any obstructions. It would be very counterproductive to break some hose by being hasty. 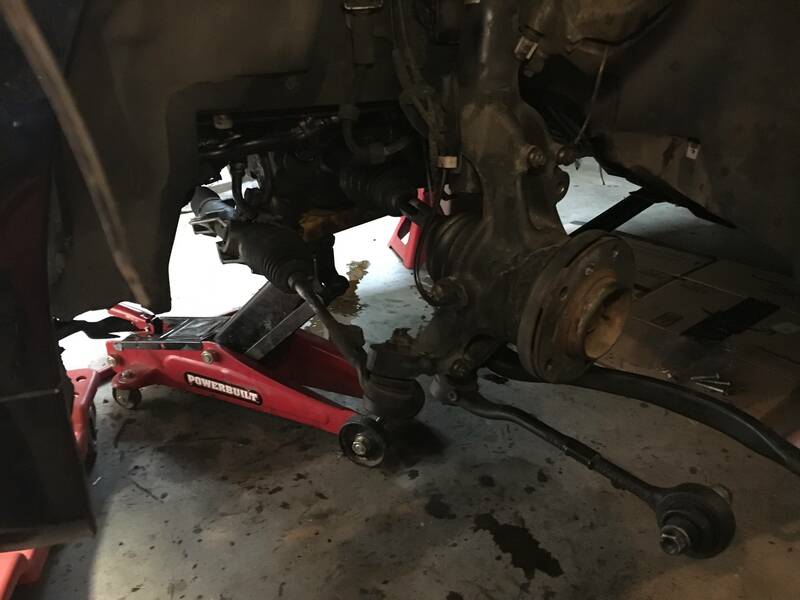 -I have an automatic transmission and disconnecting the cooler lines at the transmission and loosening the 10 mm bracket nuts at the oil pan so you can slide the lines free gives plenty of space to get to the oil pan bolts. -I didn't remove the motor mount, just the two bolts that come up from the bottom and was able to work around the mount just fine. -You won't need to remove the front brakes in this approach. Overall, this saved a ton of time extra steps. If I hadn't been figuring it out as I went, I could probably do this job in 5-6 hours, and I'm no expert. The two tutorials linked above were critical in understanding how everything goes together and made this a pretty simple process. It looks like I don't have photo posting privileges but can add a couple if someone shows me how or I can send to someone else. Thanks for the write up. This will be helpful when I have to tackle that job. Hey, about to do this on my 2008 328xi. Can you please send me the pics? I'll post them. So with your approach, you are not really removing the oil pan or subframe, but dropping them enough to get to the gasket? Edit: posting pictures from OP. Last edited by dylim; 02-12-2019 at 09:24 PM.